Bow and arrow technology has existed for the last 10,000 years as a fundamental military and hunting skill, and some research even suggests that it has been around for up to 64,000 years. Archery has played a prominent role in culture and mythology across the globe, and until the 16th century, when replaced by firearms, archery was an indispensable military component. Archery remains one of the oldest art forms still practiced today as both a competitive sport and for hunting. 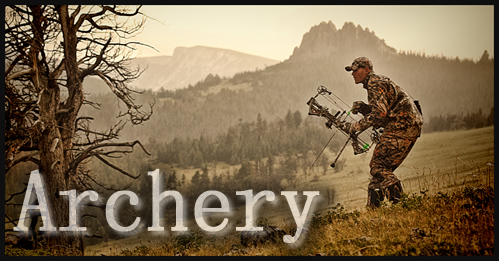 At Hinterland Outfitters’ online archery store, you will find everything you need to get started, including all the best archery supplies and equipment. Riser: The riser is the center section of the bow that the upper and lower limbs attach to, and is usually made of a composite or wood. Within the riser, you’ll find the grip, sight window and arrow rest. Grips: Grips vary from riser to riser, and it’s highly recommended that you test different grips to find the one that suits your comfort and style. Besides ranging in size, grips also vary from a simple curve to having individual finger grooves. Sight Window and Arrow Rest: The sight window is the cutout area above the grip you look through while aiming the bow. Within the sight window, you’ll find the arrow rest, which is usually an attachable piece of metal or plastic that suspends the arrow free and clear of the bow. Arrow rests come in two basic designs: a simple straight arm or a c-shaped arm that cups the arrow more. These two designs are highly debated in archery in regards to which is more effective and efficient, but it all comes down to what feels right for you. Limbs: Two limbs are attached to the riser—the upper limb and the lower limb. Generally laminated in fiberglass, limbs can be made from a variety of materials, but are most commonly made from wood, composites or metal. The stiffness of the limbs helps determine the draw weight of the bow and how fast your arrow will shoot. String Nock and Bow String: At the tip of each limb, you’ll find a string nock to attach the bow string via loops at either end of the string. Strings were traditionally made from natural fibers, such as sinew, rawhide, linen, silk, hemp and other vegetable fibers. However, most modern bowstrings are made from strong and complex polymers like Dacron, Kevlar and Spectra, to name a few. Strings are regularly conditioned with a silicone-based wax to keep them in good shape. Center Serving and Nocking Point: The center of every bowstring is wrapped in a replaceable type of thread. This area, known as the center serving, is where the arrow will be nocked. The nocking point is usually a small brass bead crimped to the center serving, which marks the place an archer should nock his arrow. Traditional bows and longbows are the oldest style of bow, and have seen constant use since early man discovered how to attach a piece of sinew (for a string) to either end of a branch. Unlike recurve bows, longbows and traditional bows have a distinct D-shape — the shape most people associate with a bow. While popular among the most traditional archers and archery competitions, they do not see as much use as the more modern recurve and compound bows. Believed to have originated in China, crossbows were commonly used in battle throughout the Greco-Roman and Medieval ages. Modern crossbows resemble firearms to some extent, and in comparison to other bows, tend to have heavier draw weights to make up for the shorter bow length. While there are traditional-style crossbows, they mostly are available in two major types: recurve and compound (with a recent development in reverse compound crossbows). Each type offers unique advantages in size, weight, power, balance, draw weight and arrow speed. For the most part, it comes down to personal preference, but better technology and innovation tends to give compound crossbows an edge. However, due to having many more moving parts and more complexity, compound crossbows are often not recommended for beginners. Crossbows are very popular for target shooting, and over the last couple of decades have become a popular hunting choice as well. 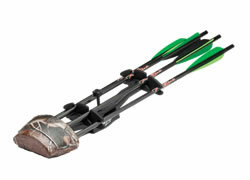 Crossbow archery is one of the fastest growing sectors in recreational and hunting communities. However, many states vary in strict regulations for crossbows, so be sure to familiarize yourself with your state’s laws. If a crossbow is what you’re looking for, browse our wide selection of crossbows and crossbow accessories. First produced in the 1960s, compound bows utilize an innovative system of cables, pulleys and cams to help an archer hold a heavy draw weight at full draw. Additionally, as the bow is drawn toward a full draw, it gets easier. This essentially lends the archer more time and ease to aim the bow, while experiencing minimal muscle fatigue. While early compound bows were bulky and a little less reliable, better technology and constant innovation has really made compound bows into one of the best options in the world of archery. Their ease of operation, versatility and reliability make them great options for all types of archery applications. While compound bows are typically not used by beginners due to their complexity, they are a bit easier to pick up and shoot fairly accurately, as they allow new archers to focus more on aiming and form without a fatiguing draw weight. Recurve bows were historically the bow of choice for archers on horseback; today, modern recurve bows are used across the board. The tips on the limbs of a recurve bow curve away from the archer, lending the bow more power while requiring less strength to draw it. While complex recurve bows are used for Olympic competition, basic recurve bows are the most common for teaching beginners and those new to archery. This is because they are extremely simple to understand and use with just a string, riser and limbs. As a student becomes more advanced, many components can be added to a recurve bow, such as sights, pressure buttons, clickers and stabilizers. Recurve bows also tend to be much lighter than compound bows or crossbows since they have less parts, and they also tend to be the least expensive option. When choosing the right bow, you need to figure out what your archery goals are and how you wish to apply your archery skills. The art of archery extends into many different practices and sports, from recreational use to hunting to competitive sports, and each of these requires a different kind of bow, either by rule or by preference. Competition and Target Archery: This fast-growing sport is practiced in more than 150 countries around the world and includes many international competitions. 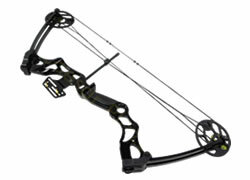 Target archery takes place both indoors and outdoors and is divided into two major bow categories: recurve and compound. Recurve target archery is the standard format included in the Olympic games. Recurve and compound archery both use standard yellow, red, blue, black and white targets, set at various distances depending on the competition. Generally, competition bows are rather expensive and have many accessories and attachments that aid the shooter in achieving higher accuracy and consistency. Anyone interested in competition archery, but new to archery, may want to start with a recreational bow and work up from there. 3D Archery: 3D archery is a form of recreational target shooting that evolved from bow hunters’ desire to practice on lifelike targets. It involves three-dimensional foam targets shaped like wild game. Each target has different ring markings, designating various point values. Think of 3D archery like a golf course: Archers walk along a field or wooded outdoor course usually comprised of 40 different targets. Each archer gets one shot per target and points are recorded based on where they hit the foam animal. Recreational Archery: As curiosity for archery grows with pop culture icons such as Katniss Everdeen from The Hunger Games and The Walking Dead’s Daryl Dixon, more and more new archers are looking for a way to test their skills. Recreational archery bows are great places for beginners to start. The bows are more affordable, and many of them can also be used for hunting. This form of target archery is similar to competition archery, but the recurve and compound bows used are more basic. Competition bows have more complex sights, stabilizers and other riser accessories to assist with consistency. Bow Hunting: Stretching back to the earliest bows and arrows, bow hunting has a long tradition. Bow hunters utilize every type of bow, with each class of bow hunters making claims and arguments as to how and why their method is the best or more pure form of archery hunting. While they all make valid claims, it really comes down to personal preference and what will work best for you. The most popular choice for hunting is compound bows, but crossbows are quickly gaining popularity in many hunting circles. Modern bow hunters now have many options to choose from when shopping for the right bow, and there are tons of bow hunting accessories that aid in dropping big game, critters and fowl. Traditional Archery: Archers seeking a challenge may find themselves shooting a more traditional bow or longbow. These bows are used in all forms of competition and hunting, but require a significant amount of practice, skill and strength. Cocking devices are typically used for crossbows to help reduce the draw weight by assisting the archer via a rope or a crank. Arrows are fired by both crossbows and conventional bows, and you’ll find all the sizes and makes you need within our archery supplies online. Trigger oil is important to help keep your bow triggers and release aids in good working shape. Release aids are commonly used by archers of all types to assist in a consistent and clean release. There are many different types of release aids, and it comes down to individual preference. The major types of release aids are: index finger release, thumb trigger release, back tension release, resistance activated release and finger tabs and gloves. Stabilizers are used by both bow hunters and in archery target shooting, and can be used with either compound bows or recurve bows. Stabilizers help in tremendous ways: They absorb vibrations, counter bow torque, keep the bow balanced and help the archer settle the sight. Quivers help protect your arrows and keep them close at hand. There are many types of quivers, including quivers that attach to the archer’s body (e.g. back, hip, etc. ), bow quivers and ground quivers. 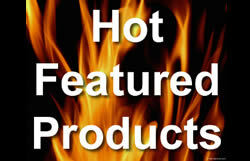 Serving wax helps keep the center serving of your bowstring in clean and consistent working condition. Stringers are used to assist in stringing recurve bows, and ensure there is no twisting of the bow limbs. Field points or target points are arrow points used for target and field practice. They are designed to have phenomenal aerodynamics to provide the best arrow flight. 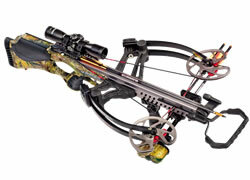 Scopes for bows and crossbows come in a wide array of options depending on the archer’s needs. 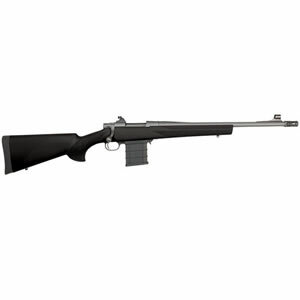 There are scopes and sights designed specifically for crossbows, compound bows and recurve bows. When it comes to storing your bow, having the right case is important. 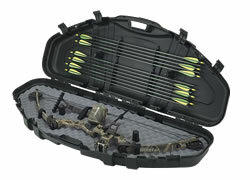 Bow cases keep your bows and bow accessories clean and in the best working condition between uses. Browse our selection of bow cases to find the right one for you. Finding the right bow is not an easy task, but Hinterland Outfitters is here to help you find what you need without the hassle of leaving your home. Contact us to speak with one of our knowledgeable team members, who are more than happy to help you choose the right bow or crossbow as well as any other archery equipment you need.